“Government’s work is God’s work” and the way in which the Govt does it work is really pathetic. 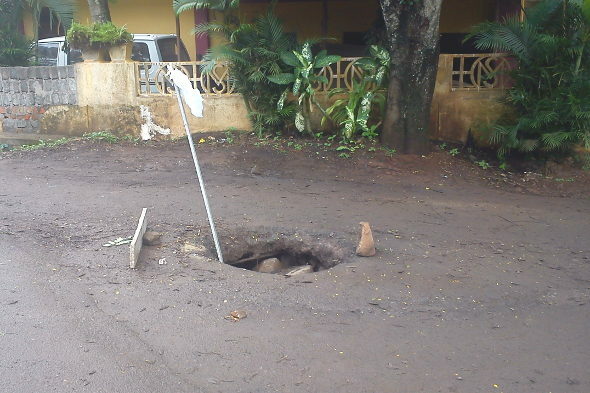 We had made a story On September 1, 2012 we had reported a story Open manholes a death trap. After this story on September 8, 2012 the Manhole was closed. This morning at the same spot after 3 months at Swami Vivekanand Colony 3rd Cross the manhole cover is damaged and is in the same way as it was in September. Some local residents have put in a stick to inform the motorists and pedestrians of this open death trap. 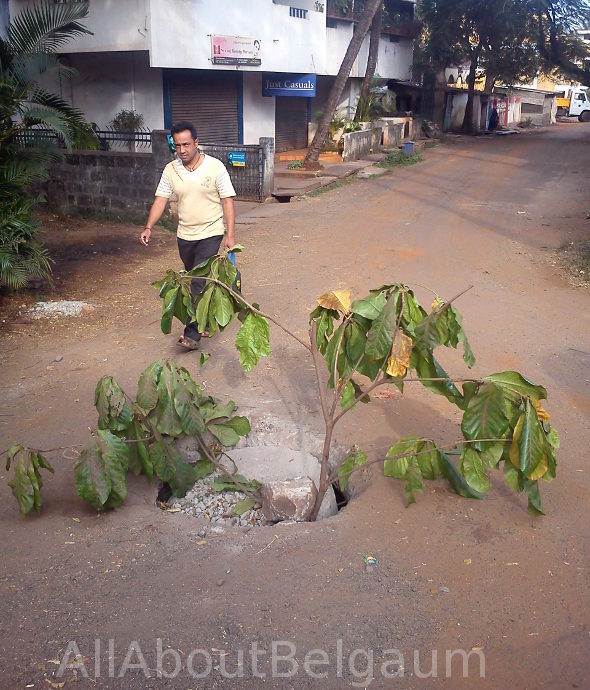 Open manholes were not even barricaded or demarcated by the authorities concerned. The locals instead had placed branches of trees to alert commuters. When will the Corporation awaken?